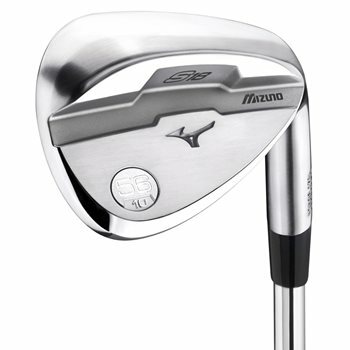 The Mizuno S18 wedges feature advanced center of gravity positioning. Mass is shifted up the blade in higher lofts to deliver more consistent spin rates on strikes from high on the club face. The wedges also feature bounce specific sole grinds for an ideal level of versatility, increased surface roughness to increase spin nearer the green and fine tuned head geometry to deliver ideal impact feel and feedback. The patented forging process ensures long, continuous grains to deliver soft, solid, consistent feel while the milled narrow/deep grooves are optimized for stronger lofts and wide/shallow grooves are optimized for higher lofts.